Widespread water-ice cloud activity continued above many equatorial regions as well as areas north of Tempe Terra. 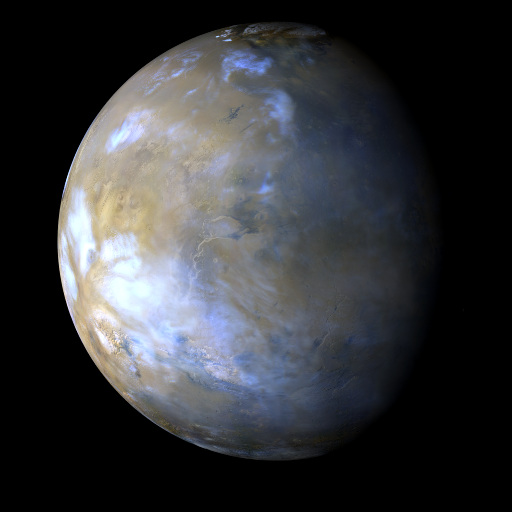 Near the middle of the week, a couple of small short-lived dust storms were observed over northwestern Acidalia Planitia. Meanwhile in the southern hemisphere, local-scale dust storms briefly kicked-up over the Solis plateau and western Noachis. Apart from some scattered water-ice clouds near the Opportunity rover in Endeavour Crater, both rovers experienced storm-free skies each sol. This week’s MARCI “movie” can be downloaded HERE (9.1 MB .mp4 file). This week’s MARCI “movie” can be downloaded HERE (9.1 MB .mov file). Malin, M. C., B. A. Cantor, A. W. Britton (2018), MRO MARCI Weather Report for the week of 29 January 2018 – 4 February 2018, Malin Space Science Systems Captioned Image Release, MSSS-516, http://www.msss.com/msss_images/2018/02/07/.